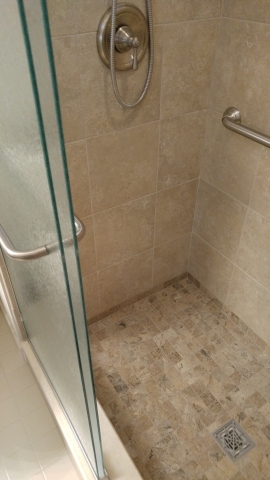 Fiberglass Shower Turned into Tile | A.B.E. 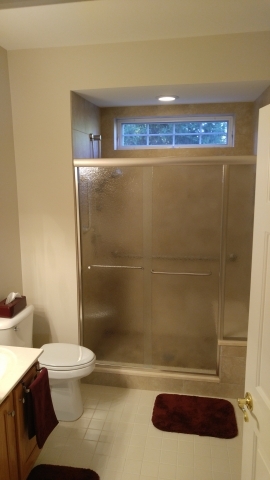 Remodeling, INC.
Don't we all want to walk into a clean healthy looking bathroom. 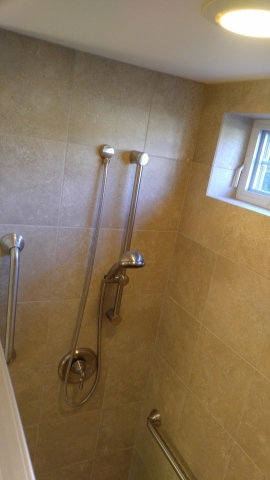 For this project we took a fiberglass unit and turned the area into a beautifully tiled shower area..... where you can be relaxed as you stand under "rain" of the shower head.